Pakistan on number three in the list of most properties bought by expats in Dubai in 2015. Investors from the Indian subcontinent have topped the list of expatriate investors in Dubai’s property market, as total transactions cross Dh64 billion in the first quarter 2015, according to the Dubai Land Department (DLD). 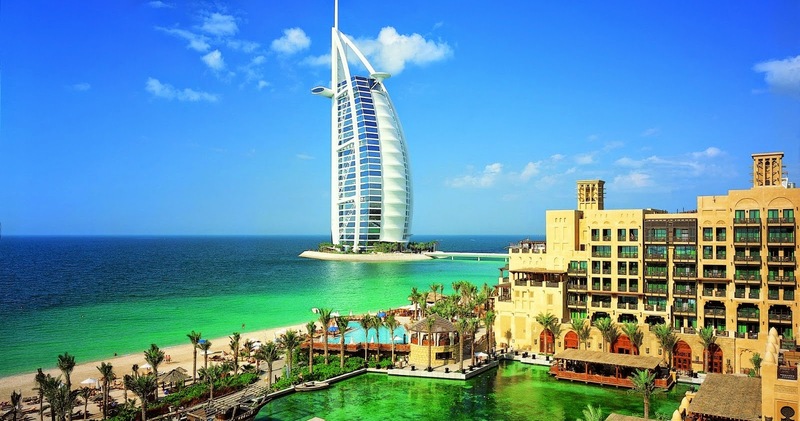 Indians topped the list of expatriate property investors, buying properties worth Dh3.04 billion. British nationals came in second with investments worth Dh1.89 billion, followed by Pakistanis who bought properties worth Dh1.392 billion. Iranians and Russians are also among the top buyers, with investments worth Dh633 million and Dh509 million, respectively. Overall, the total value of non-Arab investment crossed Dh12 billion through 5,466 investors from 102 nationalities. Emiratis were the biggest investors of all (topping the Gulf Cooperation Council (GCC) state list as well), buying properties worth Dh5.799 billion. A total of 1,964 citizens from the GCC contributed Dh9 billion. Saudi nationals came second with investments of Dh1.890 billion, followed by Kuwaitis with Dh500 million; Qataris with Dh522 million; Omanis spent Dh147 million and Bahrainis, Dh199 million. Jordanians took the first place with transactions worth Dh708 million on the list of other Arab nationals. Egyptians came second buying properties worth Dh390 million; Lebanese, Dh505 million and Iraqi nationals Dh379 million. They were followed by Yemen, Sudan, Palestine and Algeria, though no figures were revealed. A total of 15 nationalities (1,220 investors) bought properties over Dh3 billion. “The department is always keen on issuing the quarterly results of real estate transaction in Dubai for transparency that will help investors and customers in making decisions based on strong foundations,” said DLD Director-General Sultan Butti bin Mejren. “The figures in this report are showing a well-established trust in our real estate market, as well as full preparations and readiness with for quantum leaps in the next few years to receive the Expo 2020,” he added. Sales and mortgages relating to land transactions were worth Dh52 billion with commercial land (already built on) deals amounting to Dh30 billion. Buildings and unit transactions exceeded total value of Dh11 billion of which Dh8.41 billion were for housing units, business (commercial) units were worth Dh2.2 billion, and buildings were around Dh1 billion. On the land sales front, Al Yafra 2 was the most attractive with value of its transactions reaching Dh1.467 billion. It was followed by Al Hebya Al Thaletha with transactions worth Dh994 million and Al Warsan with deals worth Dh357 million. As for mortgages of lands, Al Barsha South 1 came first with transaction worth Dh291 million, followed by Al Thunaya 4 and Al Thunaya 5. As for unit (apartment) sales, the Business Bay area came first with value of transactions reaching Dh1.848 billion. It was followed by Dubai Marina with deals worth Dh1.181 billion and Al Thunaya 5 with Dh568 million worth of deals. For unit mortgages, Dubai Marina topped the list with transactions worth Dh444 million, followed by Business Bay, Al Thunaya 5, Wadi Al Safa 2 and Burj Khalifa district. For sale of buildings, Al Thunaya 4 topped all areas with transaction values reaching Dh172 million followed by Al Barsha South 4 with deals of Dh96 million. Al Safa 6 came third with transactions worth Dh96 million. For mortgages of buildings, Al Thunaya 4 registered transactions worth Dh115 million, followed by Wadi Safa 6 and Al Barsha South 4.